A woman wears a mask in San Francisco Friday. The air quality there is currently unhealthy. An airpocalypse has hit California. Fires have broken out throughout the state, devouring the town of Paradise and filling southern California skies with smoke. With smoke comes poor air quality, which is why cities around the Bay Area are already giving away free masks. 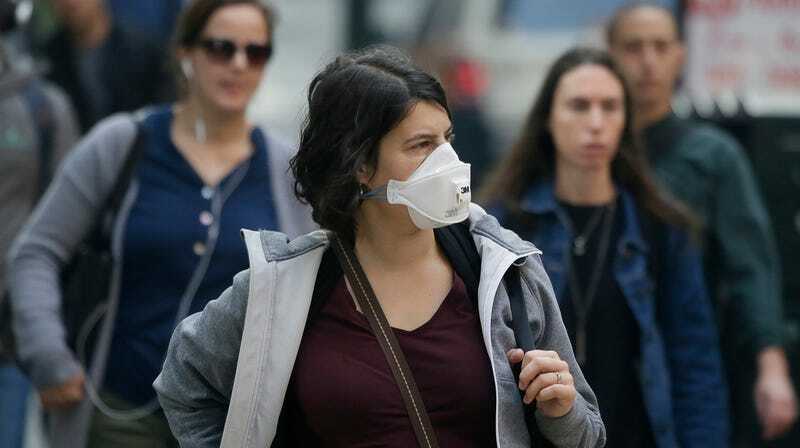 Daly City, a city of roughly 100,000 just south of San Francisco, has breathing masks ready to go at City Hall should any children, elderly people, or folks with respiratory issues need one. The predominantly Latinx and Asian city is dealing with air quality that’s considered “unhealthy,” per the Environmental Protection Agency. This is true throughout the Bay Area, in cities like Oakland and San Francisco, as well as farther north along the Pacific coast. Nearly 100 miles away in Sacramento, the air quality is projected to worsen to unhealthy levels by tomorrow. This, of course, is to be expected. 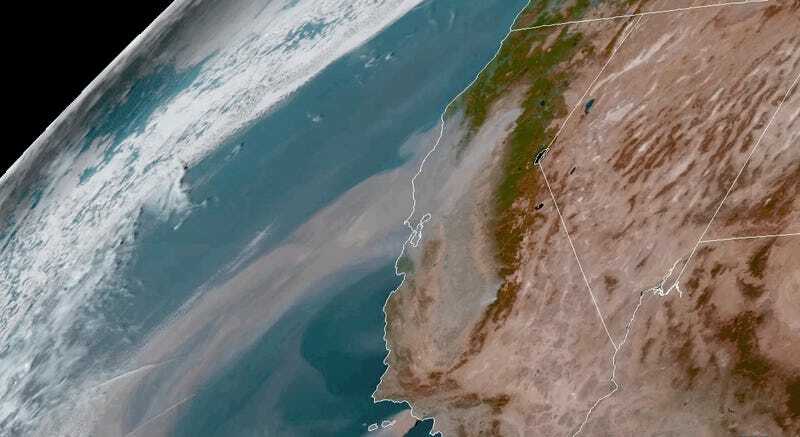 As the nearby Camp Fire continues to consume land—it had burned 70,000 acres and was just 5 percent contained as of 10:30 a.m. Pacific time—it’s spewing loads of particulate matter into the air. Particulate matter can lodge itself in a person’s heart or lungs, injuring these organs and creating respiratory problems. Daly City isn’t the only place offering free masks to protect its citizens. So is South San Francisco. Closer to the site of the fire, California State University at Chico is giving out masks to its students. Last year, a Home Depot in Napa sold out of masks as wildfires raged across the area. The Camp Fire has destroyed at least 2,000 structures in Paradise, but we won’t know the full impacts for a while. What we do know is that the most vulnerable people will require special attention—whether it’s around evacuation, health, or recovery. Who knows where this fire’s smoke will end up next. Last year, smoke from California wildfires traveled all the way to the East Coast. Watch that smoke move from Butte County to over the Bay Area.